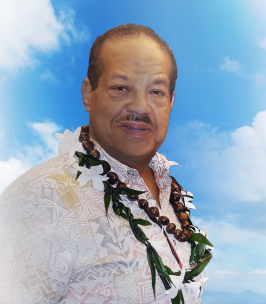 Martin "Kalani" Crosley Pious Eby, 62, passed away on March 30, 2019 in Honolulu, Hawaii. He was born in Queens, New York. He is survived by wife Rosemarie A. Eby, Daughters Donna, Malia Eby Patton (Taylor), Leilani Eby Faumuina (Ueka), Brothers Andrew, Sean and Phillip, Sister Liz "Libby" Alvarado, Granddaughter Lily Patton. He is predeceased by parents J. Murray and Barbara Esmee . Celebration of Life services will be held on Wednesday April 24, 2019 at St. Patrick Catholic Church on 1124 7th Avenue, Honolulu, HI. Visitation is at 9:00 am, Mass is at 10:00 am. Inurnment will be held on Friday April 26, 2019 at Mililani Memorial Park Cemetery at 1:00 pm. To send flowers to the family of Martin Crosley Pious "Kalani" Eby, please visit our Heartfelt Sympathies Store.